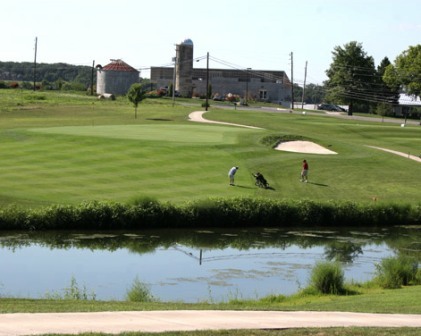 Forest Hills Golf Course at Bongiorno Conference Center, previously named Penn-Del Golf Course is a Public, 9 hole golf course located in Carlisle, Pennsylvania. The course first opened for play in 1905. Forest Hills Golf Course is the 3rd oldest Golf Course in Pennsylvania. The earliest owner of what is now the BCC was John Lindner. In 1891, John Lindner began the Lindner Shoe Company of Carlisle, PA. By 1904 the company had annual sales of over a million dollars and hundreds of employees. 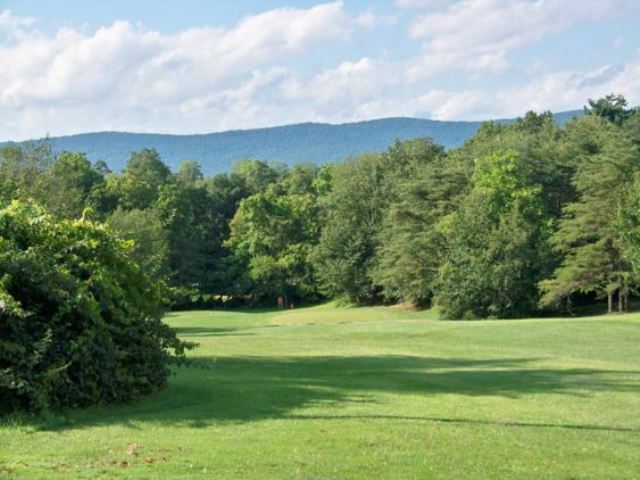 At this time, Mr. Linder purchased 200 acres northwest of Carlisle and named this summer estate Forest Hills. On this estate he built a summer home, gardens, a golf course, caretakers home, and much of the remaining land was farmed. 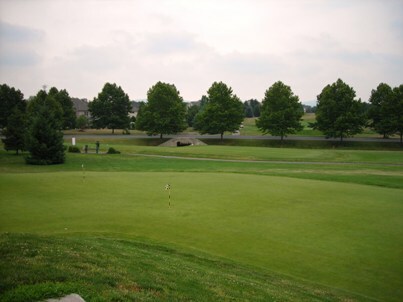 The higher elevation where the golf course is located was also called the Lindner Highlands. Sheep were used to “mow” the fairways. The Lindner Shoe Company rose to a million-dollar concern in less than 15 years. It fell just as closing in 1920. Eventually the Lindner estate at Forest Hills went into the hands of the banks. The Lindner years had come to an end. The golf course was opened to the public and kept operable by caretakers during the time the banks managed the property. In 1944, the 200 acre Lindner estate (Forest Hills) was purchased by the Lancaster YMCA and was named Camp Shand. The YMCA took possession of the property in 1945. The property consisted of a mansion house in excellent condition, four well built cabins, a caretaker’s residence, a small craft shop, a 9 hole golf course, and acreage suitable for athletic events. 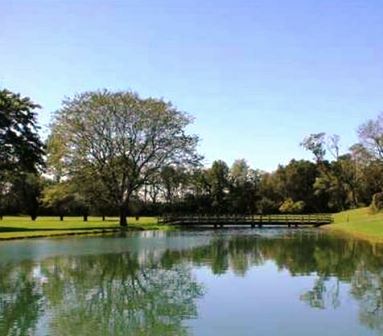 An old farm of 61 acres was sold by the YMCA to a hunting club. This was done to raise funds to develop the remaining 139 acres. Camp Shand overlooked the Conodoguinet Creek with a 60 mile view of the Blue Mountains and green gold valleys. The facility opened in the summer of 1946. The pool was soon built to add to the campers activities. Due to financial difficulties accrued by the Lancaster Y, the Board of Trustees decided to sell the Camp Shand property. In November of 1983, the camp was sold to the Pennsylvania-Delaware District Council of the Assemblies of God. This closed the door on Camp Shand in Carlisle, but opened the door for the future of the Bongiorno Conference Center. The course sits on hilly terrain, so you can expect some uneven lies. 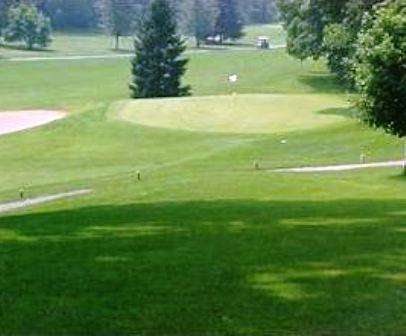 The fairways vary from open to tree lined, and the greens are small.  No water comes into play, but there are several sand bunkers. The ladies tee off from the same set of tees as the men.